Merrick Mitchell received a pounamu cross from Cardinal John Dew during his commissioning, supported by Launch Out manager, Joan McFetridge (left). 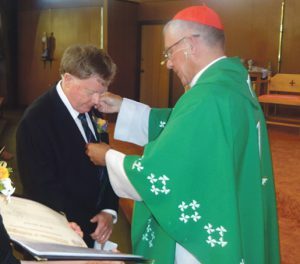 Cardinal John Dew commissioned Merrick Mitchell as a lay pastoral leader at a packed-out 9.30am Sunday Mass at Our Lady of Perpetual Help in Richmond on 29 January. 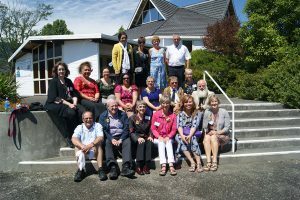 Merrick was commissioned for the soon-to-be amalgamated parishes of Richmond, Motueka, and Takaka that will be known as Our Lady of the Bays – Te tatou wahine o ngā whangapariha Katorika. 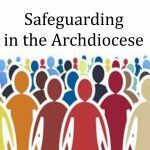 Cardinal John said, ‘Leadership in a parish is not just about getting the tasks done; not just about doing things and ticking the boxes so we can say this roster has been completed, or this sacramental programme has been organised. Our priests and lay pastoral leaders, working together, look to serve you and your sacramental, spiritual, pastoral and educational needs. Thanking the many who supported him during his eight years in formation, Merrick (a qualified and practiced veterinarian) said, ‘Like yourselves, I bring myself, my gifts, my faith, my flaws. 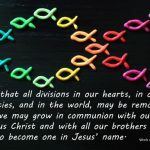 I bring who I am to the service of the Church, who is the Body of Christ. I value your support and prayers. 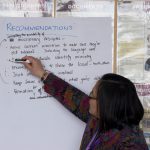 Lay Pastoral Leaders have been in formal ministry in the Archdiocese since 2006 with others ministering in the Wairarapa, Wellington South, the Hutt Valley and Otari. Their formation is undertaken through the Archdiocesan Launch Out programme. More than 20 Launch Out candidates as well as many graduates, friends and family came from as far away as Wellington, Christchurch and Tauranga to celebrate with the community at the commissioning Mass – many being billeted by parishioners. 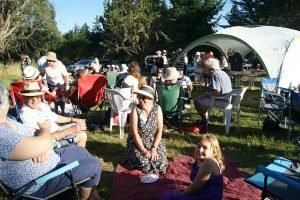 Kahurangi Pastoral Area turned on summer the day before the commissioning for the large crowd who gathered at Rabbit Island for a bbq. Parishioners gather at a bbq on Rabbit Island to celebrate Merrick’s commissioning. People travelled from Wellington, Tauranga and Christchurch to celebrate Merrick’s commissioning.